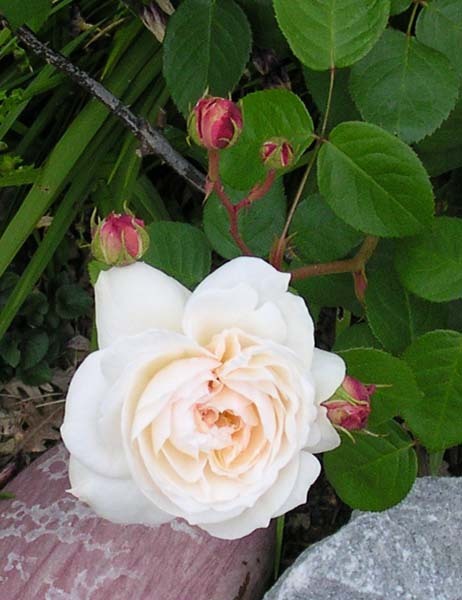 Fair Bianca has beautiful blooms, but it’s prone to disease and very spindly. I decided to chuck the pucker knit fabric that I was working with. I did a test dart on a scrap, and it didn’t work. That fabric requires pattern with no darts.